Man#2: Do you believe in sin? Woman: [whispering] There's nothing to believe. Q: Is 'The Rite' based on a book? Q: From what did Michael's mother die? Q: Why did the mortician put grass in the corpse's mouth at the beginning of the movie? 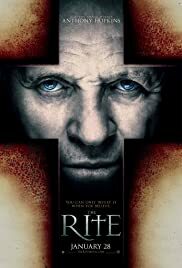 After losing faith in the exorcism sub-genres and my sister telling me how average this movie was, i didn't expect much from The Rite. Honestly, the only reason i watched it was because of Anthony Hopkins, and i am glad i did. This movie has everything that fans want in an exorcism movie. Some people may find it a bit slow paced but the movie does not steer off course, every minute is relevant to the storyline. Even in his 70's, Mr Hopkins did just what was expected from him. 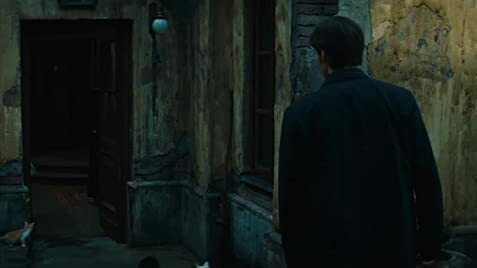 He gave a powerful performance which scared the living hell out of me and played his most convincing role since Hannibal Lector but surprisingly so did someone else, someone who i had never heard of. Yes, i am talking about Colin O'Donoghue, who managed to stay in the light and make a great connection with his co-stars. Every character in the movie was fully utilized specially that of Alice Braga. I find that many people fail to see the spark in this film, and the only reason i can think of is that people these days are too fond of gore which this movie lacks. Surely, The Rite is not for the "Doubters" but for the people who believe and have interest in this subject. After decades of miserable exorcism movies, finally we got us a winner. Can i dare say that this movie is better than The Exorcist?, No i cant but this is definitely the "Second Best" ..
Now i can confidently say that "you were wrong big sister". With solid performances, amazing cinematography and mind blowing sound effects, i give it a 9/10. 50 of 71 people found this review helpful. Was this review helpful to you?